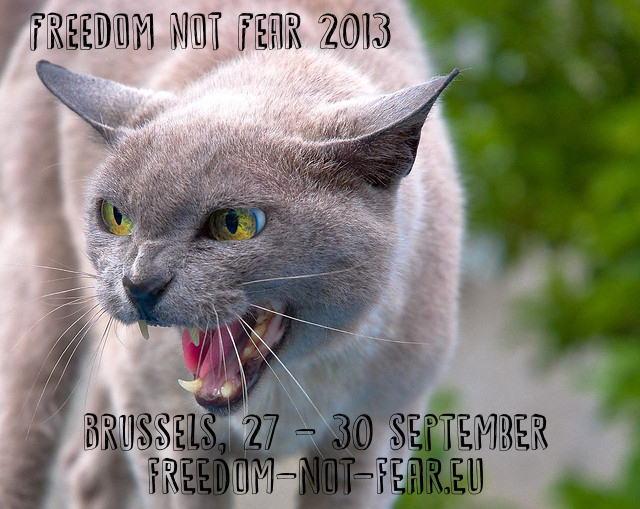 Freedom not Fear, 27 – 29 September in Brussels | vasistas? 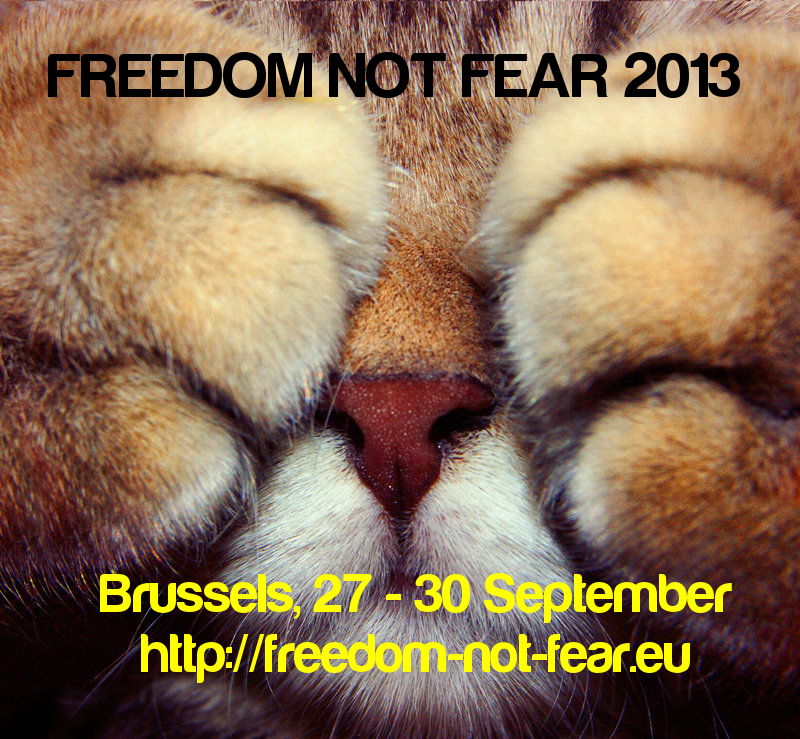 Privacy activists from allover Europe will meet in Brussels from 27 to 30 September. 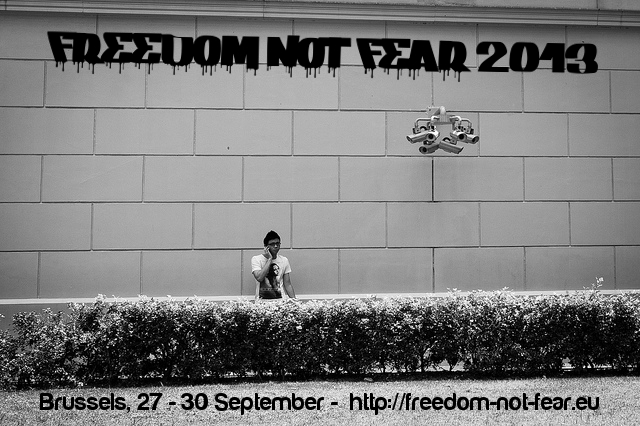 This year’s „Freedom not Fear“ will be launched with a keynote by Caspar Bowden, independent privacy expert who recently published a European Parliament study on privacy in the cloud (pdf). On Friday evening, he will discuss with the participants what we have learned since Snowden and what this might mean for Data Protection in Europe. On Saturday, a field trip to the NATO buildings will be a unique occasion to observe the natural habitat of NSA agents operating in Brussels (this is *not* a protest!). During the Saturday and Sunday barcamp, participants can propose and organise workshops and presentations on digital rights issues. For Monday, meetings with Parliamentarians and Commission staff have been scheduled. The agenda will be regularly updated here. 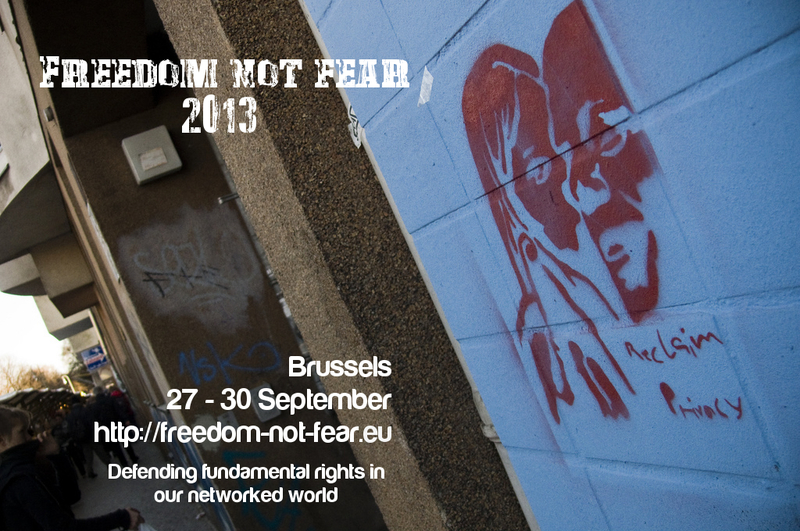 Participation is free, the address in Brussels is: mundo-b, Rue d’Edimbourgh 26, 1050 Brussels. However, please consider a donation via Betterplace. 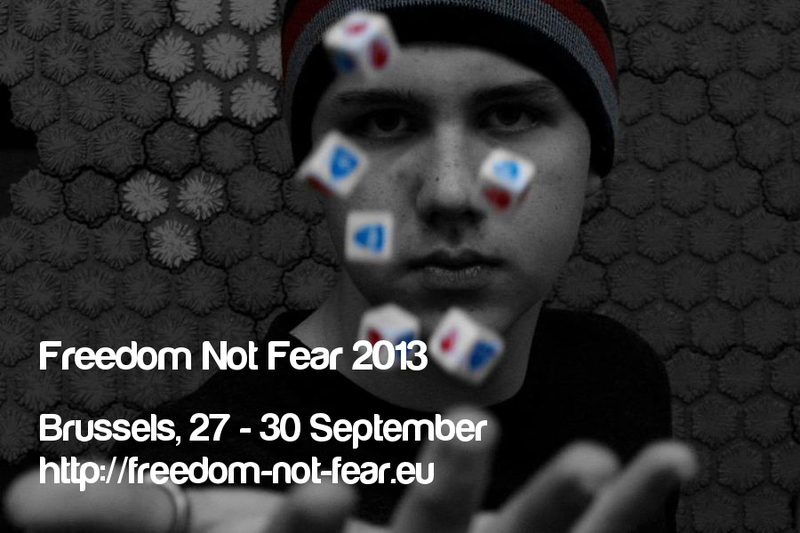 Moreover, German NGO digitalcourage is organising a trip to Brussels, you can buy tickets over here.